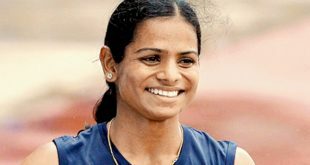 Bhubaneswar: Odisha Chief Minister Naveen Patnaik on Monday announced a cash award of Rs 1.5 crores for Dutee Chand on winning the Silver Medal in 100-meter event at 18th Asian Games in Indonesia. The Chief Minister congratulated Dutee Chand, a hundred-meter sprint national record holder. It is a matter of pride that an athlete from Odisha has brought laurels to the country in this event after 20 years. In 1998 Asian Games, Odia Athlete Rachita Panda Mistri had own Bronze Medal. 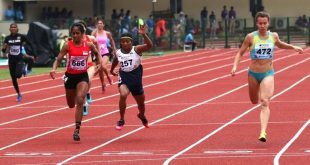 “In recognition of her grit, determination and hard work, the Chief Minister has announced a cash award of Rupees 1.5 crores to Miss Dutee Chand,” said a statement from CMO. Currently, the fastest men and women in the country are from Odisha. The state has a special focus on Athletics considering the performance of its athletes in recent times and the huge potential among the talented youth, the statement said. To encourage Athletics, the state had organised successfully the 22nd Asian Athletics Championships in 2017 in partnership with International Association of Athletics Federation and Athletics Federation of India. Odisha has planned a high-performance Athletics Academy (First of its kind at the State level ) which is expected to be launched shortly.